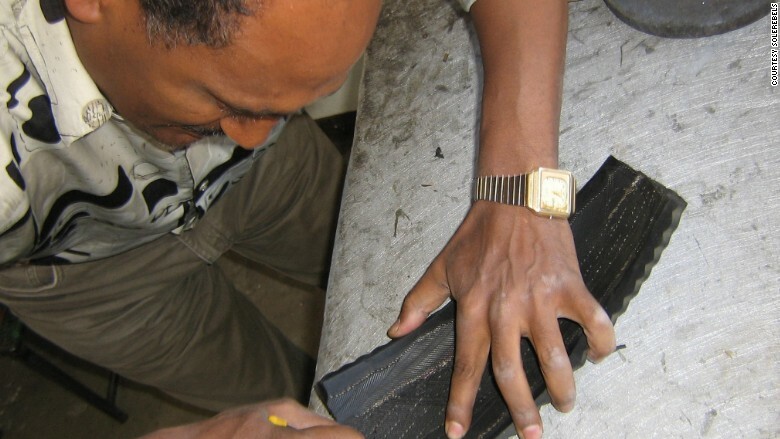 Bethlehem Alemu founded SoleRebels in 2005, a company that makes shoes from old tires. Bethlehem Alemu's shoes have been sold worldwide by Amazon (AMZN), Urban Outfitters (URBN) and Whole Foods (WFM). When she started her business the Ethiopian accountant had much more modest ambitions. "I wanted to do something that would give me job opportunities myself and the people around me," Alemu said. "I immediately thought 'I have to start a small business!'" The shoe's sole is made out of old rubber tires. The company, which sold 125,000 pairs of shoes in 2016, has already delivered its promise of work. Since opening, SoleRebels has created 1,200 jobs and plans to have more than 3,000 full-time Ethiopian employees by the end of 2018 when a new production facility is complete. The jobs pay well too -- three times the average wage, according to Alemu. "I was born here in Ethiopia and I grew up here so I saw the state of people -- the way they lived and the way they worked, and I felt if I had a company (it) should pay a certain amount of money so the employees can take care of themselves and their families," she said. SoleRebels has several stores worldwide and is also stocked by Amazon, Urban Outfitters and Whole Foods. Ethiopia's economy has been enjoying a period of strong growth, in stark contrast to decades past when the country was blighted by war and famine. Alemu is hoping to do more for Ethiopia's recovery with a new business she's about to launch: Garden of Coffee. Alemu's newest project is a Café-Roastery, Garden of Coffee, which is opening in Ethiopia's capital. Guests who visit the Addis Ababa cafe will be able to watch local coffee beans being roasted and ground. 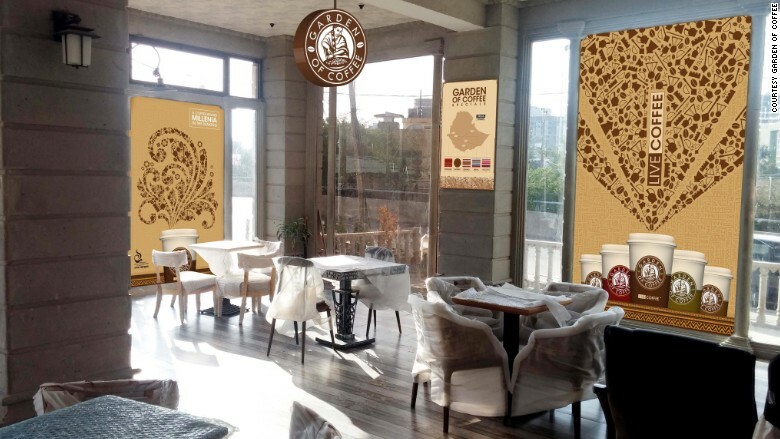 While SoleRebels and Garden of Coffee may seem worlds apart, Alemu believes they both show how resourceful Ethiopia can be. "I began Garden of Coffee so that people everywhere can experience the magic of hand-roasted Ethiopian coffees, roasted at their source by Ethiopia's finest coffee artisans," she said. Alemu is hoping to open three cafes in Abbis Ababa, before expanding to the U.S. and Europe.